Photo courtesy of Valerio Vallini, 4-14-05 Ing. Cei - Allievo. 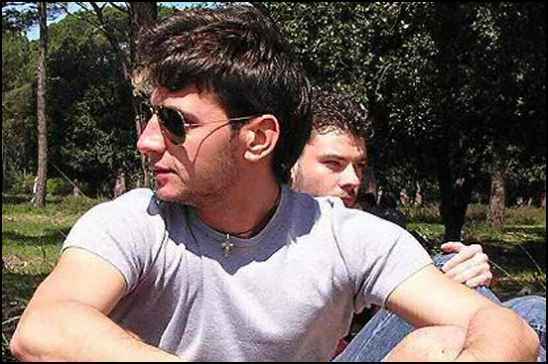 I'm a 23 year old boy from Pisa, Italy. In the village where I live there's the grave of Giuseppe Cei (or Joseph Cei in English or Jean Cei in French, but he was Italian). He died on 28 March 1911 near Puteaux. I'm surprised that in all the sites of the world dealing with pioneers of aviation, he isn't mentioned. He was quite famous in France such that President Fallieres called him "Le roi de l'air". He flew around the Eiffel tower on 19 March 1911. 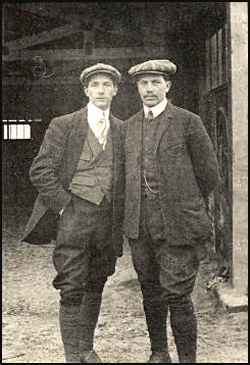 He attended the school of the Caudron brothers at Le Crotoy, and before he became engineer at the school Roche of Paris. He was so crazy as to fly under the Senna river's bridges..
Could you say to me if you have any document dealing with him? Sorry for my English and thanks so much. My only purpose is to give him his right to be remembered as a great pilot. Maybe people don't remember him as a great pilot because when he died he was only 22 years old. L'aviatore italiano GIUSEPPE CEI, che ha volato a 800 metri d'altezza sopra Parigi (Paris - France). Cassa di Risparmio di Pisa, Pacini Editore (Publisher) Pisa, Italy - 1883.
via email from Giovanni Giorgetti, 10-10-04 Giuseppe Cei was born on January 25, 1889 at Cascina (Pisa), Italy. 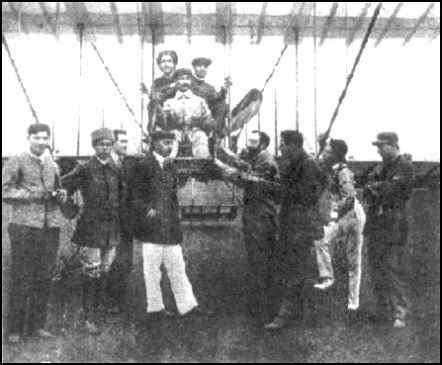 French flight N° 353 on February 1, 1911 at Le Crotoy (B. ), Italian flight licence N° 35 bis. He had an engineering degree. 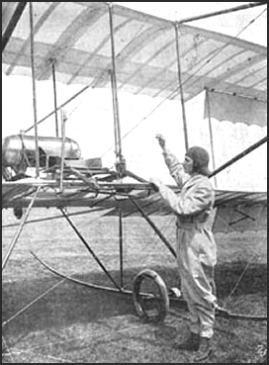 Cei Giuseppe was killed in a crash on March 28, 1910, near the isle Rotschild at Puteaux (France). From the book "PIONIERI DELL'AVIAZIONE IN ITALIA", autor Mario Cobianchi, Editoriale Aeronautico - Roma - Via Ripense 1; (Ufficio dipendente dal Ministero dell'Aeronautica) - 1943. 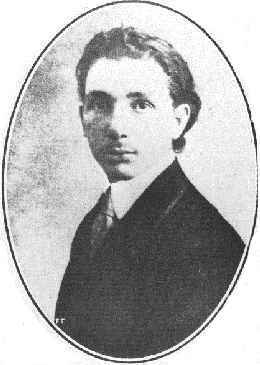 I'm from Cascina, near Pisa, where Giuseppe lived. He was my grandpa's parent. PS. I've the private pilot licence too...! Editor's Note: My thanks to Gianni for identifying himself as being the great-grandson of Giuseppe and for reporting that he is carrying on with Giuseppe's love of aviation. PS..I think I see a family resemblance between Gianni and the photo of Giuseppe in the oval frame above. What do you think?